The sounds emanating from San Francisco have long been new and exciting; however, one of the scene's most promising up-and-coming products has turned "contemporary" music on its head. 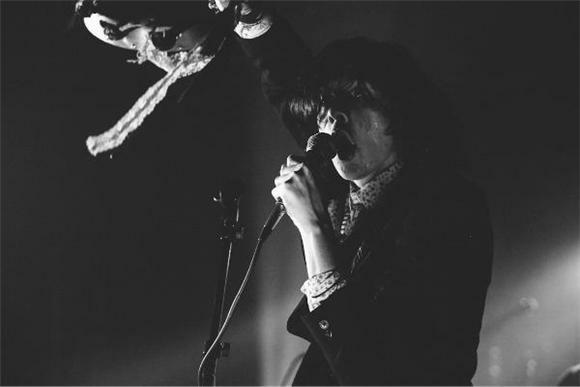 Foxygen, the duo of Sam France and Jonathan Rado are introducing young music listeners to nostalgic sounds of the geographic area's much earlier eras. Modern indie production quality accompanied by a classic psyche-rock twist of mysticism helped their debut full-length, We Are The 21st Century Ambassadors Of Peace And Magic flourish amongst its peers when released back in January. The San Fran psychedelic duo and their colorful cronies took the stage during a visit to Austin this past March to confound Hype Hotel's audience with songs off the album during a special party curated by Aquarium Drunkard.